A dark avenger. 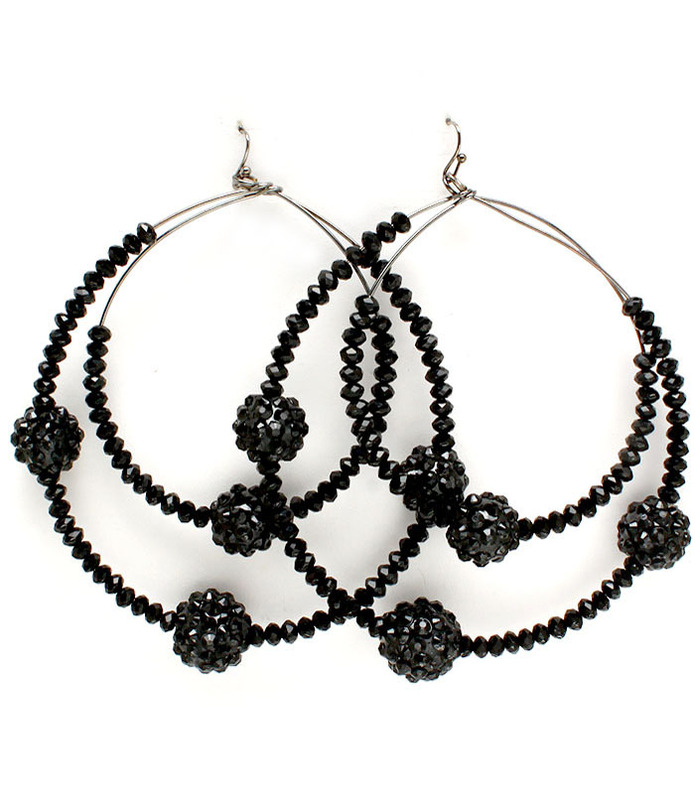 The Parker double hoop earrings drip in black on black on black mini-crystals and feature fireballs. The go-to pair for late nights' and party dresses. Oz Bling brings you great quality and low priced cheap jewellery online.